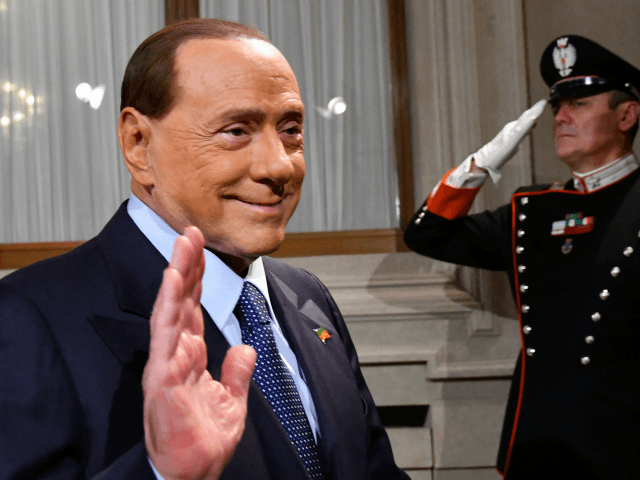 “The migration issue is extremely serious, with 630,000 migrants in Italy, only 30,000 having the right of asylum because they fled war and death, the other 600,000 being a time bomb that can explode at any moment because they are living off crime,” Berlusconi said. On Sunday, Mr. Salvini also commented on the brutal murder which saw Ms. Mastropietro killed and dismembered. “In Italy, you have to respect the rules and you have to expel migrants without a residence permit, who are living off drug trafficking,” he said. Some have criticised the remarks of the leaders whose centre-right coalition currently leads in the polls for next month’s election. They point to the shooting spree in Macerata committed by 28-year-old Luca Traini over the weekend which was targetted at migrants. Traini, a far-right extremist who threw up a fascist salute before being apprehended, is believed to have been motivated by revenge for the murder of the 18-year-old. According to reports, Traini was also a failed candidate for Lega in 2017. Maria Letizia Marino, the party secretary for Macerata, suggested that Traini may have been romantically involved with the 18-year-old victim, saying Triani mentioned dating a “Roman girl with drug problems”. Italian police have expressed concern that copy-cat attackers may emerge from the far-right scene in Italy. Italy may also be facing another wave of illegal immigrants as reports have revealed that the number of migrants crossing the Mediterranean from Libya has significantly increased in recent weeks.